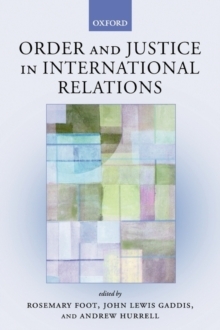 The relationship between international order and justice has long been central to the study and practice of international relations. For most of the 20th century, states and international society gave priority to a view of order that focused on the minimum conditions for coexistence in a pluralist, conflictual world. Justice was seen either as secondary or sometimes even as a challenge to order. Recent developments have forced a reassessment of this position. Firstly, many trends in the 1990s increased expectations of greater justice within a liberal and liberalizing international order - for example, in relation to human rights, humanitarian intervention, collective security, and self-determination. Second, globalization deepened the sense of ideational and material interdependence, prompting acknowledgement that we co-exist in a single world and that effective solutions to shared problems cannot be achieved without a concern for justice - especially as the negative aspects of globalization have become more evident.